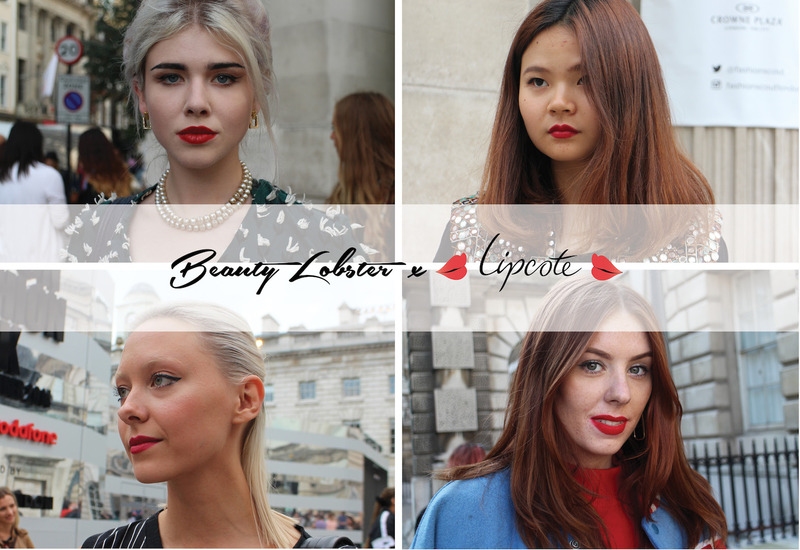 Hey Lipstick Lovers, welcome to the 2nd instalment of my London Fashion Week Beauty Lobster trend spot. 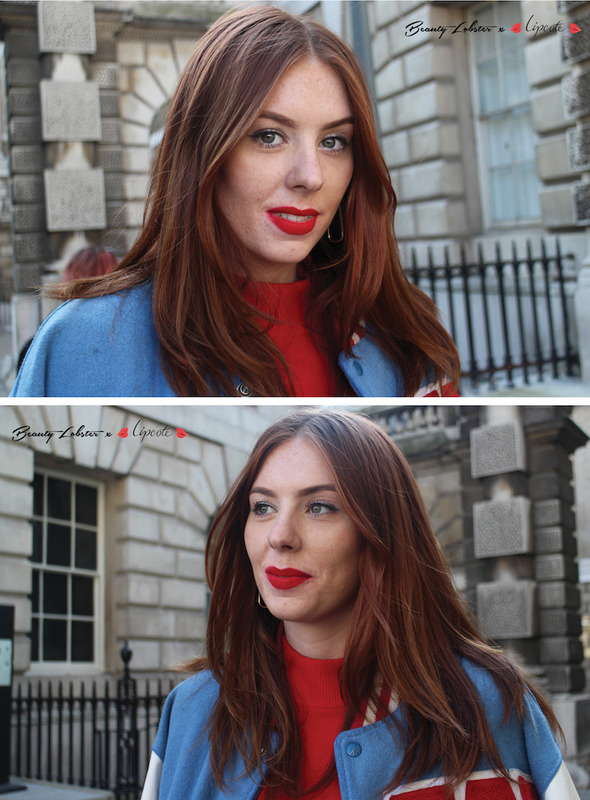 Although LFW can be a place where all the forward thinkers and future beauty trends converge, it was noted by Beauty Lobster that some of the girls at this seasons shows wanted to pay homage to a more classic beauty look. Amongst the throngs of coloured manes, flash facial tattoos and neon lips there was a small army of winged liner and red lipped beauties, holding their own. The red lip has been around ever since Egyptian Queen Cleopatra of 3000BC figured that smearing crushed red ants and carmine beetles across her mouth made her look more attractive. Another fixture to the ancient queens beauty regime was, of course, Kohl winged eyeliner. Roll on 5000 odd years and every beauty brand worth its salt takes a stab at the trusty red lipstick and liquid liner. At the beginning of the 20th century lipstick and kohl eyeliner went commercial and quickly became a staple of every young and fashionable woman’s beauty routine. Below are some of girls at LFW who are keeping this look as fresh as the day Queen Cleo ground down those poor little bugs. I’m going in strong with this outrageously well put together face and ensemble and can we just have a few seconds to appreciate Charlotte’s softly smudged velvet red lip, how dreamy is it? I haven’t had much experience of Sleek Lipstick but Charlottes pout is giving my serious lip envy. 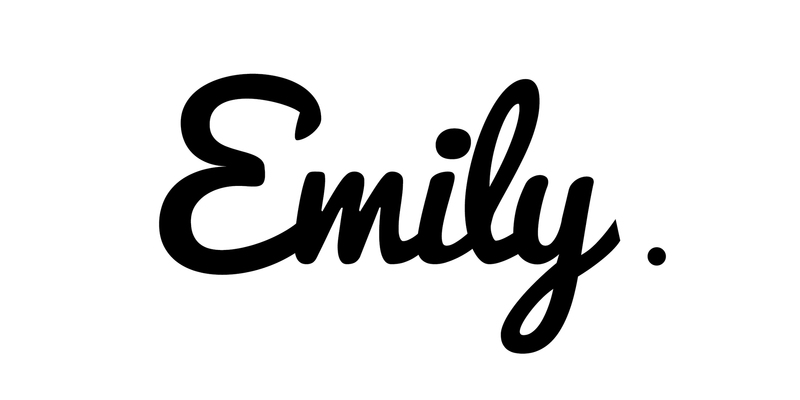 She has a subtle liquid eyeliner flick over a smudge of silver chrome eyeshadow giving her look some glam. Charlotte is rocking the 70’s varsity look from head to toe. She manages to colour combine denim, blue with red and not look like an all American geek but rather, Jessica Rabbit meets retro cheerleader. I also love how, as a red head, she is totally pulling of the red lip as well. Faultless. The only classic detail on thoroughly modern Martina is her True Red Lip and Liquid Eyeliner combo. 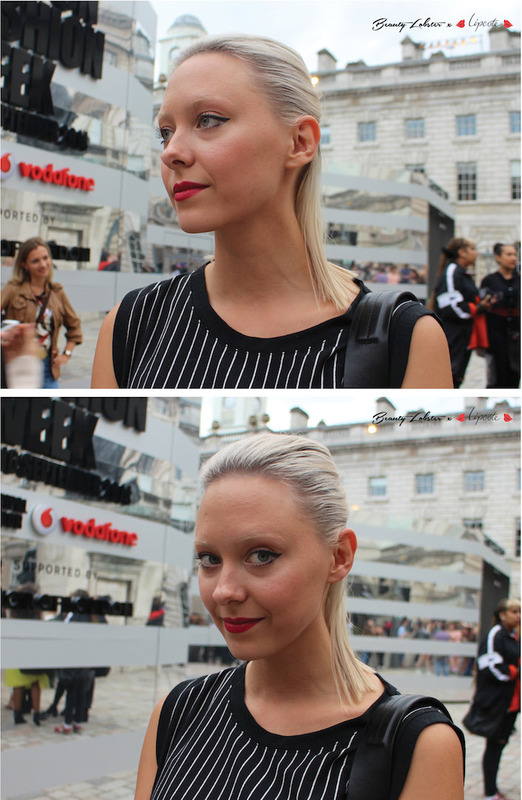 Stylist Martina modernised her text book makeup with bleached out brows and very contemporary slicked back hair which adds to her enviable cool finish style. Understated and uncluttered. 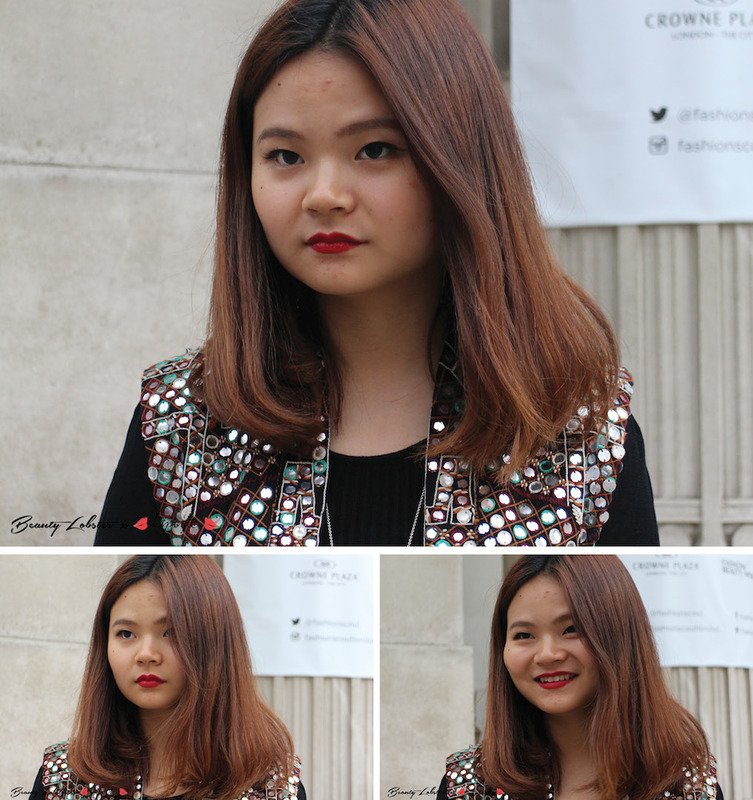 Jennifer is lovely example of how a red lip is the only cosmetic detail you need when rocking a more elaborate ensemble like her mirror embellished jacket. Of course, Jennifer’s lipstick of choice is Chanel’s La Facinante; a trusty red/berry lipstick paints the perfect pout and a subtle line of liquid liner adds a little definition to her eyes. Paired down and easy glamour, just like Coco Chanel. I throughly enjoyed my conversation with Alex, who despite her romantic, 50’s inspired look was rather straight talking and humorous. Every detail on Alex’s look makes its own statement; from her 3D floral H&M dress, purple rinse bouffant and straight black brows. Having found her lipstick on the street and rinsing her hair with “cheap granny” rinse, her approach to beauty is either unorthodox or savvy. 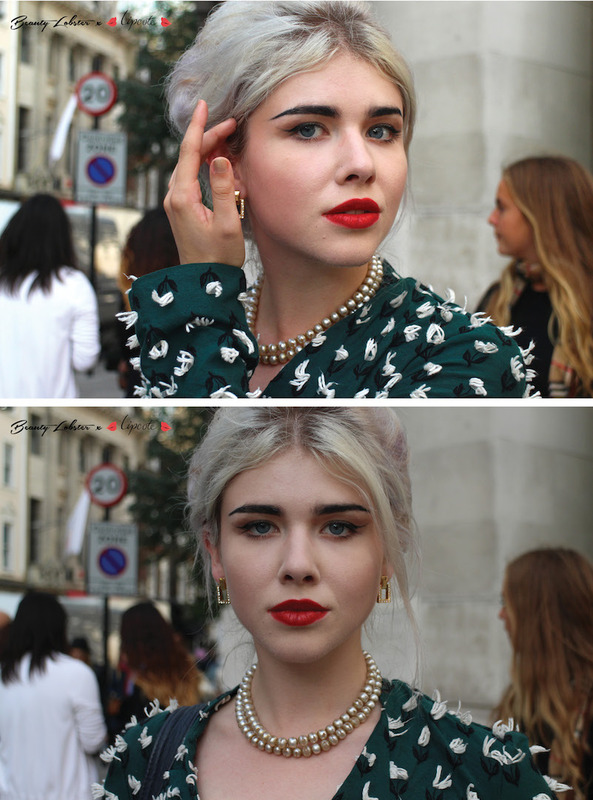 Either way, her quirky take on a retro look shows your that a classic red lip and liner combo needn’t be conventional. Russian Red was my first ever red lipstick and also my first ever matte lipstick. 8 years later it is still a firm favourite so I not surprised to see it well loved by others. This cult shade by MAC is perfectly at home on Nayaab, who’s elegant and feminine style is amplified with her cascade of dark hair. 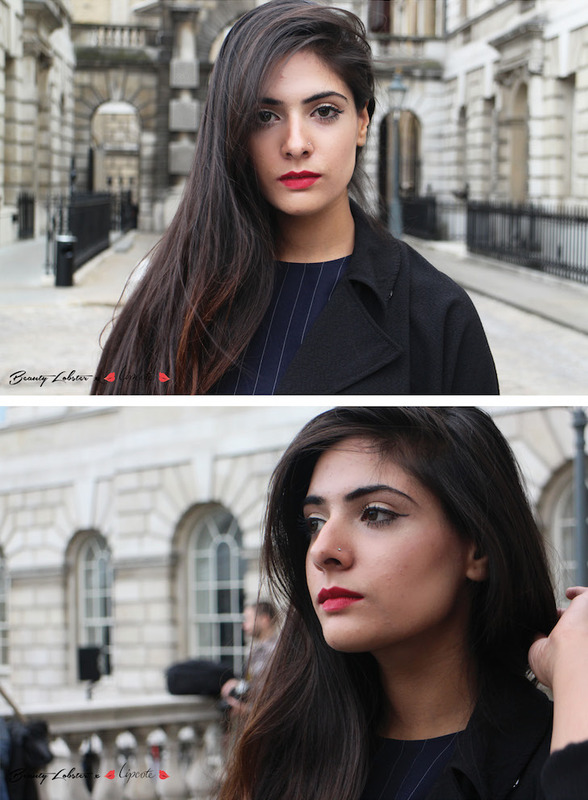 I would hazard a guess that the red lip/liquid liner combo is Nayaab ‘s go to makeup look as she wears it so well. For some red-hot tips on how to make your painted pout last longer head click here. 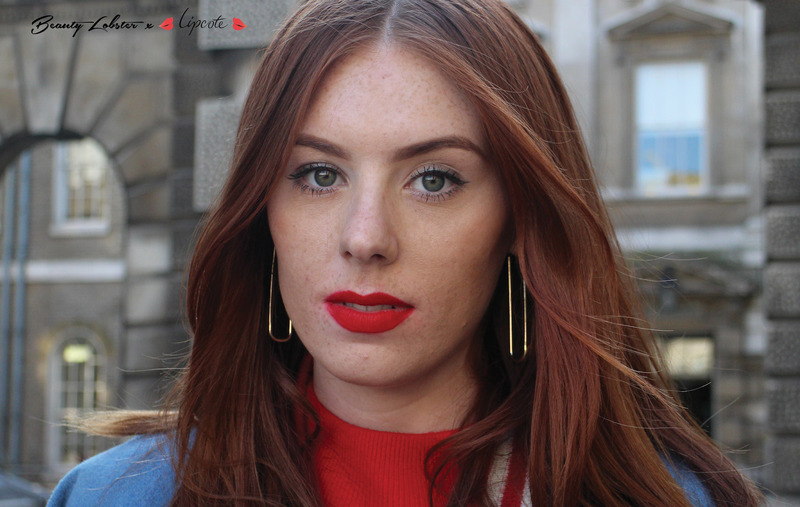 If you are in the market for your next red hue then head over to Lipcote’s Independent Lipstick finder guide.